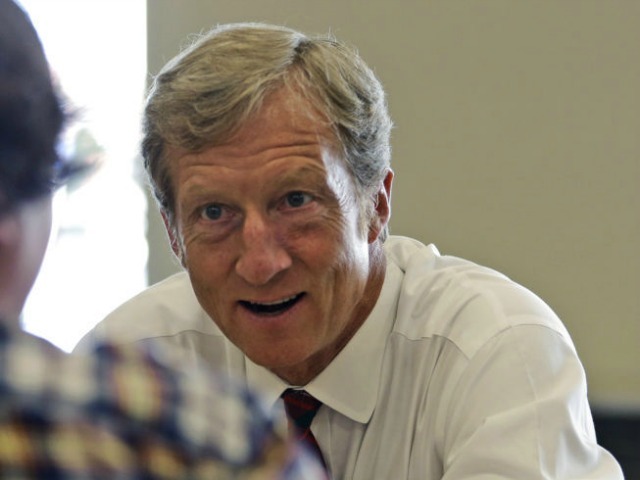 According to a new report from the United States Senate Committee on Environment and Public Works, a “club of billionaires” including Tom Steyer and Hank Paulson has effectively hijacked the Environmental Protection Agency for its own purposes – to grow the EPA and regulate the economy from stem to stern. The Revolving Door. The report reveals a huge number of EPA officials shuttling into and out of the agency and into and out of associated non-profits funded by the so-called Billionaires’ Club. These include Bob Sussman, Senior Policy Counsel at the EPA under former administrator Lisa Jackson; he came from the Center for American Progress. Other revolving door EPA staffers: Michelle DePass, former Assistant Administrator for the Office of International and Tribal Affairs, who came to her position from the Ford Foundation and actually worked for both organizations simultaneously at one point; Michael Goo, former Associate Administrator of EPA, who worked for Congressman Ed Markey (D-MA); Dr. Al Armendariz, Region 6 Administrator, who worked for the Environmental Integrity Project. The Secret Emails. Jackson was caught using her private email address to send sensitive material, but she was hardly the only one. Sussman was caught using “his personal email to communicate with environmentalists in violation of EPA policy.” James Martin, former Region 8 Administrator, was similarly caugh “using his personal email account to communicate with environmentalists…about official agency business in violation of official EPA policy.” Michael Goo, former Associate Administrator of EPA, also emailed member so the Sierra Club about how to sink Keystone XL. The Funding. The report shows that EPA regulators have used their influence to send money back to the Billionaires’ Club charities. Grants from the EPA have totaled $3 billion over the last decade; Obama’s EPA “has given more than $27 million in taxpayer funded grans to major environmental groups.” Organizations like the American Lung Association have received $14 million since 2009, even though ALA has repeatedly sued the Agency. Special Treatment. The report suggests that Region 2 Administrator Judith Enck violated the EPA’s standards and ethics by giving EPA grantees “special treatment.” For example, even though the activist group El Puente had been ruled out of bounds thanks to breaking the terms of its grant, Enck delayed the killing of its grant for ten months. Enck is currently under inquiry by the Office of the Inspector General. Similarly, the Louisiana Bucket Brigade (LABB, a former project of the Tides Foundation) grabbed cash from Jackson. That cash went to fighting oil and gas projects in Louisiana. Americans have long known that the regulatory state is a complete disaster area, and that the EPA is one of the worst regulatory agencies in government. The new report confirms that fear – and suggests that for all their complaints about money in politics, leftists are quite comfortable with it so long as it serves their ends.